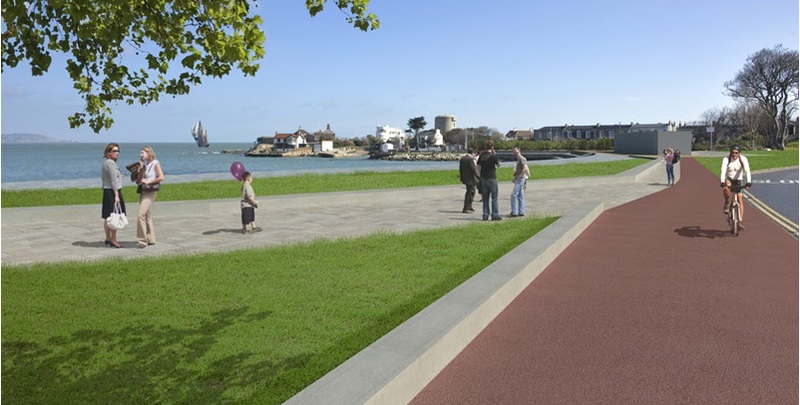 Dún Laoghaire Rathdown commissioned Royal Haskoning and Murray and Associates to prepare a feasibility study to introduce a series of concept enhancement schemes for the area. The purpose of the designs was to test what was feasible for the space between Dún Laoghaire’s East Pier and Sandycove Harbour. This process led to two preliminary concept designs, one of which is discussed here. The concept behind the Lagoon Beach is to create a breakwater which will extend off shore from the Baths site, curving towards the East Pier. 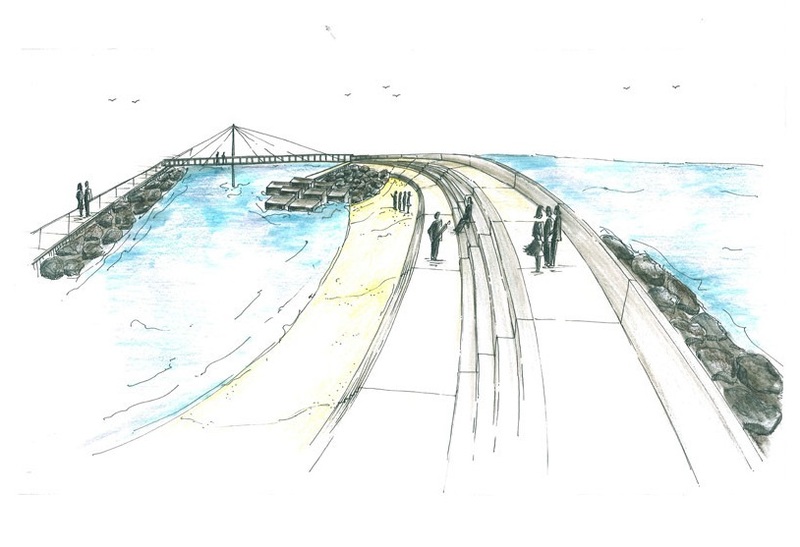 A pedestrian bridge will connect the East Pier to the Baths forming a spectacular viewing area. The promenade would be extended and improved along the entire frontage, with the existing form of the proms projected spaces utilised to form a series of viewing and seating spaces. 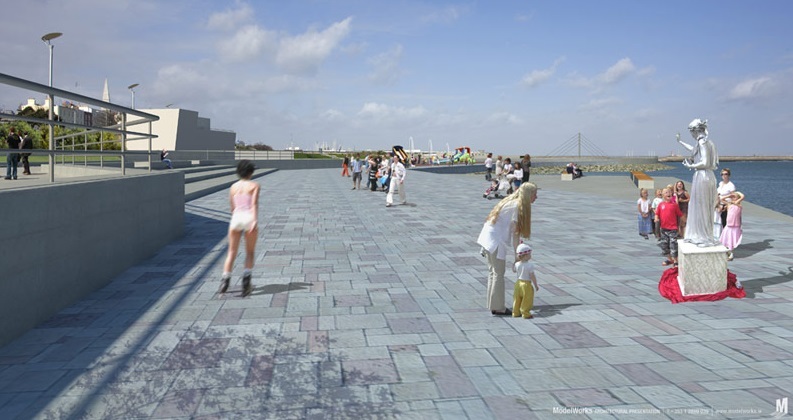 The lower level promenade would extend along the entire seafront, raised approximately 1m above its current level for safety and durability.